Yotam Ottolenghi’s newest cookbook, “Plenty More,” arrived yesterday. I confess – I preordered – and was so excited when it arrived at my door! This dish looked perfect for a night in where I was feeling “comfort food” with an Asian angle. The key to this recipe is to prepare all the vegetables ahead of time, because they each braise quickly in a miso, vegetarian dash broth. I chopped all of my vegetables ahead of time, and plated them for easy access. This dish also has a base of sushi rice. I had forgotten just how tender and sweet this rice can be, even without the added sugar and rice vinegar you often find in other recipes. 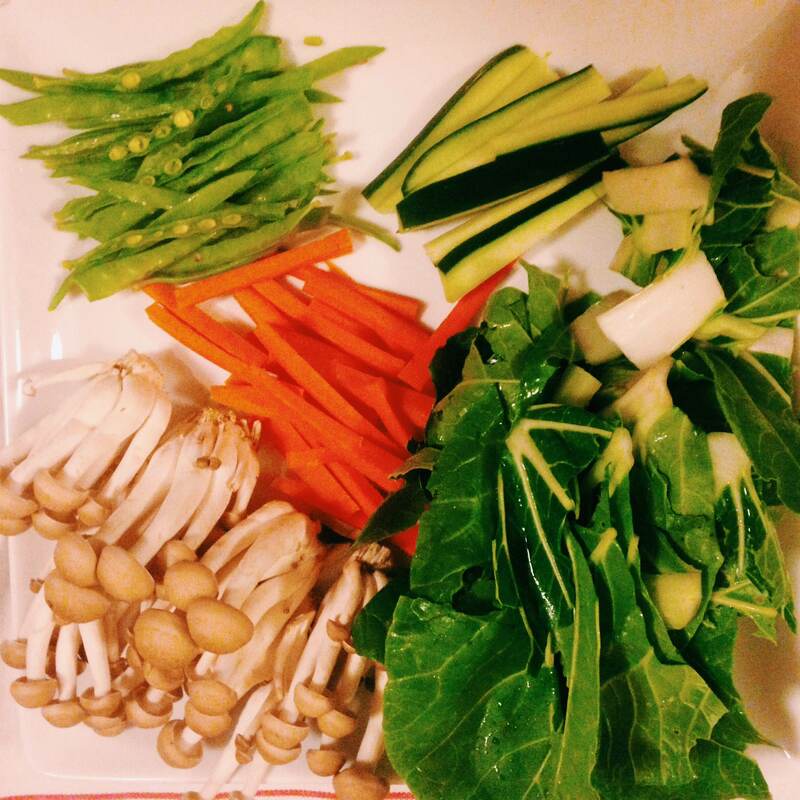 Sugar snap peas, carrots, cucumber, and bok choy from my garden (instead of the broccolini from the recipe) and some beautiful organic beech mushrooms. 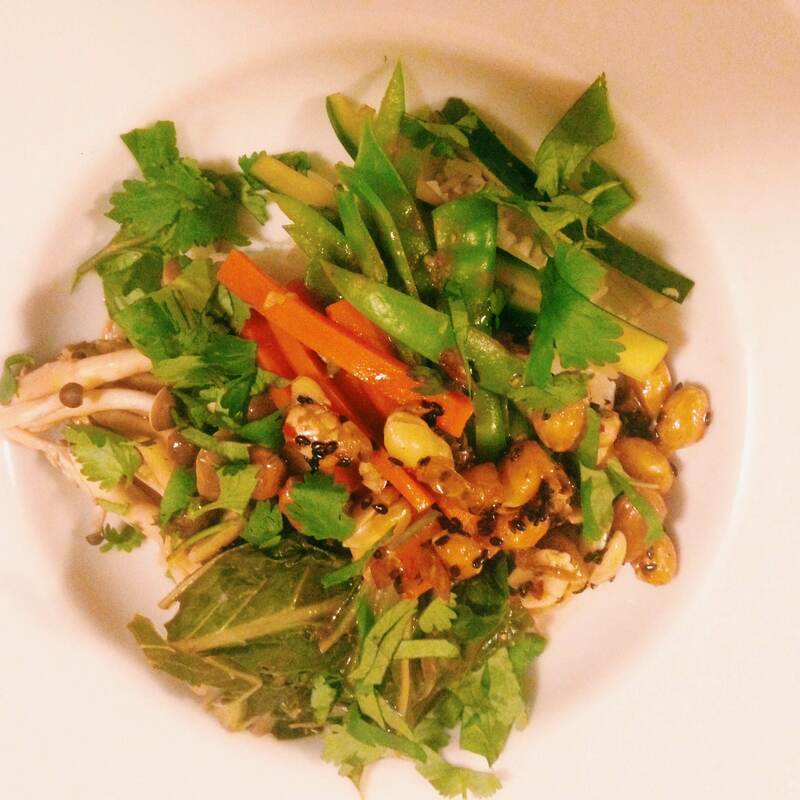 Topped with fresh cilantro, chili, roasted peanuts, black sesame seeds and rice wine vinegar, this was a great dinner, and leftovers made a great lunch the next day!